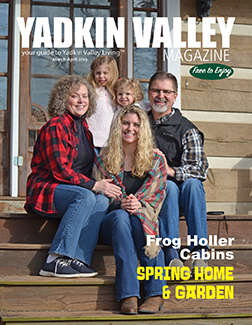 Welcome to the official store for Yadkin Valley Magazine. J ust click on the store page to easily subscribe to Yadkin Valley Magazine and to discover special product offerings! We ship via the US Postal Service. (Shipping to Lower 48 USA states only.) All orders are processed and mailed the day received, or the next business day. Most logo items and cookbooks carry a low flat rate postage and handling charge. But look for special offerings with FREE shipping. FREE SHIPPING ON ONE LAST SWEET BITE COOKBOOKS NOW THRU MOTHER’S DAY! !